Its continual availability does not require any power storage (unlike wind/solar power). It is mainly mechanical hardware. This makes it relative easy to understand and repair-/maintainable. In smaller units its environmental impact becomes neglect-able (see: [[Hydro - Environmental Impact Assessment (EIA)|environmental impact assessment]] and [[Micro Hydro Power (MHP) - Pros and Cons|pros and cons of micro hydropower]]) . *For sophisticated methods how to inquire a sites feasibility, please check the [[Micro Hydro Power (MHP) Manuals|Manuals]] section. *Historically the term hydropower developed from naming very small units towards nowadays huge dams. Then there where new terms created to separate different clusters. All of them are hydropower. What is considered "mini or "micro" may be defined once and forever ... or not. If there are different opinions on this topic you're welcome to open a discussion group on this. Classification according to size has led to concepts such as ‘small hydro’ and ‘large hydro’, based on installed capacity measured in MW as the defining criterion. Defining hydropower by size is somewhat arbitrary, as there are no clear relationships between installed capacity and general properties of hydropower or its impacts. Hydropower comes in manifold project types (see Classification [[Hydro Power Basics#By Facility Type|By Facility Type]]) and is a highly site-specific technology, where each project is a tailor-made outcome for a particular location within a given river basin to meet specific needs for energy and water management services. '''Large hydropower developments''' involve large dams and huge water storage reservoirs. They are typically grid connected supplying large grids. Preference for large hydro is on the decline due to the high investment costs, long payback periods and huge environmental impacts (losses of arable land, forced migration, diseases and damage to biodiversity). Many [[Micro Hydro Power (MHP) - Pros and Cons|social and environmental impacts]] are related to the impoundment and existence of a reservoir, and therefore are greater for 'large hydro' plants with reservoir. However, larger facilities will tend to have lower costs on a USD/kW basis due to economies of scale, even if that tendency will only hold on average. Moreover, one large-scale hydropower project of 2,000 MW located in a remote area of one river basin might have fewer negative impacts than the cumulative impacts of four hundred 5 MW hydropower projects in many river basins (see also [[Socio-economic and Environmental Impacts of MHP#Negative Environmental Impacts|Negative Environmental Impacts]]). For that reason, even the cumulative relative environmental and social impacts of large versus small hydropower development remain unclear, and context dependent. 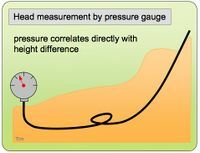 '''General concepts like ‘small’ or ‘large hydro’ are not technically or scientifically rigorous indicators of impacts, economics or characteristics. Hydropower projects cover a continuum in scale, and it may be more useful to evaluate a hydropower project on its sustainability or economic performance, thus setting out more realistic indicators'''<ref>IPCC Special Report on Renewable Energy Sources and Climate Change Mitigation, Chapter 5 Hydropower (2011). Prepared by Working Group III of the Intergovernmental Panel on Climate Change [O. Edenhofer, R. Pichs-Madruga, Y. Sokona, K. Seyboth, P. Matschoss, S. Kadner, T. Zwickel, P. Eickemeier, G. Hansen, S. Schlömer, C. von Stechow (eds)]. Cambridge University Press, Cambridge, United Kingdom and New York, NY, USA, 1075 pp.</ref>. Again, "'''head and flow'''" matter. 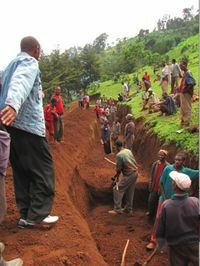 The best geographical areas for exploiting small-scale hydro power are those where there are steep rivers flowing all year round. The Andes, the Himalayas, islands with moist marine climates, such as the Caribbean Islands, the Philippines and Indonesia are widely suitable. 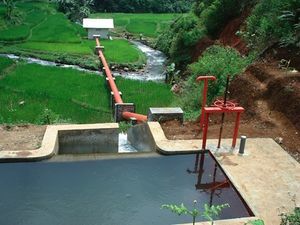 Laos, Vietnam and wide parts of China use Micro Hydropower in large numbers.<br/>A locations, head, flow and number of consumers allow to calculate the available power share per consumer<br/>Minimal Head may be 1-2 m. For considerable power then much water (> 1 m3) is required<br/>Minimal Flow may be 20 l/s. 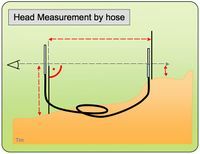 Power is according to head output (see [[Hydro Power Basics#Measuring Head .26 Flow|power estimation]]).<br/>Mini Hydropower operates constantly and requires little maintenance. It is ideal for powering remote regions. 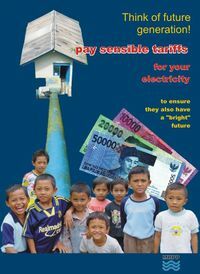 Although grid connection is very feasible due to its very low operational costs. 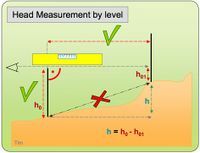 <u>'''Flow measures '''in feasibility studies:</u><br/>Flow data should be gathered over a period of at least one year where possible, so as to ascertain the fluctuation in river flow over the various seasons.<br/>At least '''measures must be taken during dry season''' to assure that there is always enough water to power the turbine. Too little water results in power cut. If such is not clear to consumers from begin with it can seriously endanger the projects success. 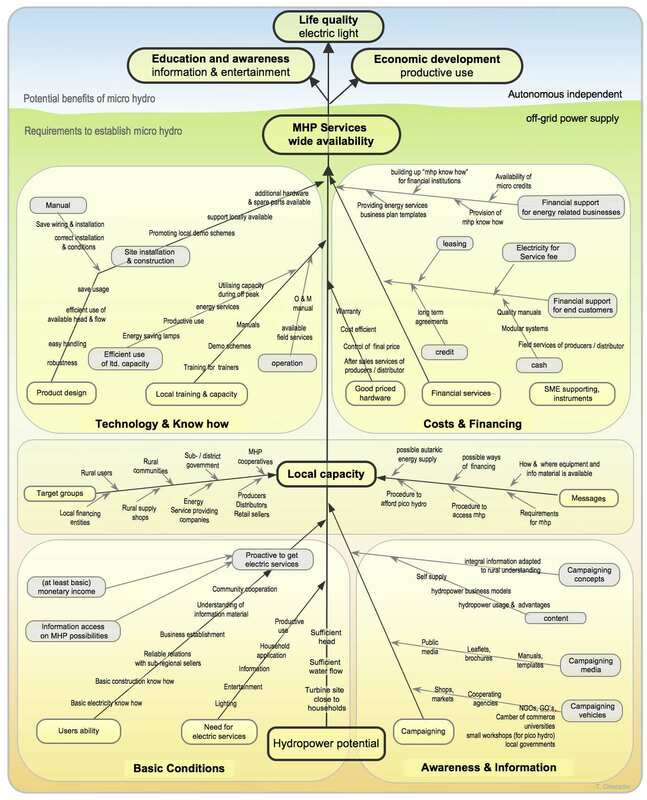 *For more links on MHP, click [[Micro_Hydro_Power_(MHP)_-_Further_Links|here]]. 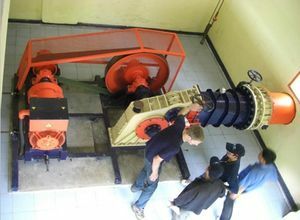 *For more links on MHP, click [[Micro Hydro Power (MHP) - Further Links|here]].